Professor Reeves is a distinguished international leader in agricultural research, development and extension. He was a pioneer of no-till and sustainable agriculture at the Rutherglen Research Institute in north-eastern Victoria and has held a high number of senior international roles including as Director General of the International Maize and Wheat Improvement Center (CIMMYT) in Mexico from 1995-2002, member of the United Nations’ Millennium Project Task Force on Hunger and senior expert for the Food and Agriculture Organization. Professor Reeves said he aims to extend the students’ understanding of the “big picture” of agriculture. “One of the reasons I accepted this role is to apply my experience, knowledge and expertise to help the students at Dookie campus to understand the national and international significance of agricultural education and research, and see the possibilities of where their studies can take them,” he said. Professor Reeves will teach sustainable agriculture to Bachelor of Agriculture students based at the campus, provide support for student-industry engagement and deliver careers and research project advice. He will also mentor graduate research students and early career academic staff, and explore further opportunities to grow engagement between industry and the campus. There are around 100 students based at Dookie campus in Semester 2 2018, including graduate researchers, Diploma in General Studies students and second- and third-year Bachelor of Agriculture students, whose experience at the campus will be showcased at Dookie Day 2018 on Sunday 9 September. Professor Reeves’ appointment to a role at the Dookie campus was first proposed at Dookie Day 2017. This student, community and industry event showcased the research and teaching in agriculture, veterinary and food sciences at the Dookie, Werribee and Parkville campuses of the University of Melbourne. “I see Dookie Day 2018 as a tremendous opportunity, not only for the University to show how Dookie is contributing to the wider agricultural and food sector and enriching student experience by allowing them to study in a real farming context, but also for the industry and community to come and see the continuing development of this campus and see the University of Melbourne’s significant investments to make that experience the best it can be,” Professor Reeves said. In the last five years, the University of Melbourne has invested in the teaching and research capabilities of the campus, including a $3 million redevelopment of student accommodation and teaching spaces in 2017, the construction of a $5 million pasture-based robotic dairy in 2013 and the appointment of a Dookie Farm Committee to provide strategic planning and oversight of its commercial mixed farming activities. The Faculty of Veterinary and Agricultural Sciences is running a fundraising campaign to reinvigorate Dookie campus through scholarships, improved research and farming infrastructure and further upgrades to accommodation. Professor Brian Leury, acting Dean of the Faculty of Veterinary and Agricultural Sciences, said the appointment reflects the Faculty’s renewed focus on the Goulburn Valley region. “Dookie campus provides opportunities for our researchers and students to engage directly with agricultural communities, industry stakeholders, government, farmers and private companies to co-develop solutions,” Professor Leury said. Professor Mohan Singh, acting Head of the School of Agriculture and Food at the University, said Professor Reeves’ presence at the campus would be of enormous benefit to both students and staff. “Second-year Bachelor of Agriculture students based at the campus develop their understanding of the agricultural sector through visits to local enterprises, and third-year students can gain a deeper understanding of agricultural science by taking part in research projects and trials,” Professor Singh said. Professor Reeves is a Fellow of the Academy of Technological Sciences and Engineering. 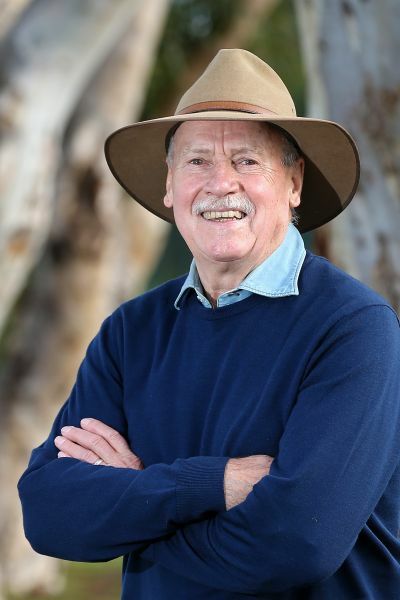 He received a Doctor of Agricultural Science honoris causa from the University of Melbourne in 2016 and the prestigious Professor C M Donald Medal for lifetime achievement in agronomy from the Australian Society of Agronomy in 2017. Do you want to see what it's like to study at the largest agricultural campus in the Southern Hemisphere, complete with robotic dairy, winery, livestock and experimental farming? Visit us at Dookie Day 2018 on Sunday 9 September! Story by Stuart Winthrope. Banner image: the University of Melbourne, Dookie campus.